The winter season in Puerto Vallarta is a magnificent time of year to plan your vacation. The stunning beaches, sunny weather, and warm temperatures tempt travelers worldwide to spot the largest majestic fish in the world on board their own luxurious and private yacht charters in Puerto Vallarta. The whale is considered as one of the noblest and magical species you will come across in the Mexican Caribbean. The key magical occurrences during this time of season in Puerto Vallarta takes place in the glittering waters of Banderas Bay. It is the season for whale watching! To spend the winter months in the warmer waters, humpback whales migrate to this part of Mexico. Whale season officially begins in the month of December and continues until March. To watch humpback whales in all of their glorious splendor, visit Banderas Bay during this time of year. While vacationing in Puerto Vallarta, make sure that you carve out some time for an unforgettable whale watching adventure. The waters of the Banderas Bay are considered far more protected than the open waters of the Pacific. This is what makes this region the ideal place for humpback whales to come and relax in the warm waters. In literal terms, the whales do their annual migration journey in order to mate, give birth and prepare their new offspring so that they can set out on the long trip back to cooler water once the season ends. 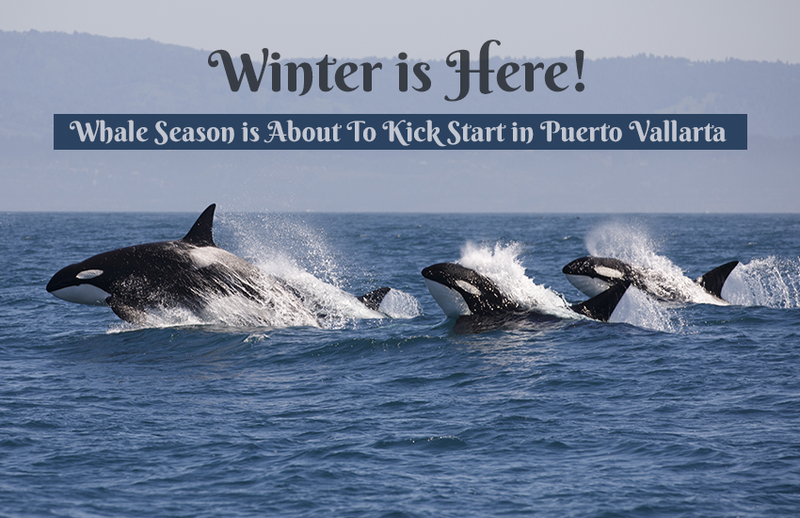 Whale watching in Banderas Bay is a must see amazing activity in the winter months. This is because a myriad of whales spend their entire season here, so the likelihood of spotting some any day of the week is quite high. Also, Puerto Vallarta experiences fabulous weather at this time of year thereby making the excursion out on the water to go whale watching truly spectacular. If compared with all other whale species, humpbacks are considered to be the most active of all. They often entice the travelers with their extraordinary physical displays which can leave the beholder spellbound. With moves such as breaching, twirling, socializing and jumping that too when displayed by the largest marine creature can leave anyone jaw-dropping experience. These actions provide plenty of opportunity to spot them if you are in the far distance. Although they are oblivious that their impressive shows of acrobatics are being watched by the visitors, they sometimes retreat back to the safety of the water. Since they are wild creatures, you can never fully predict what they will do next! Spotting and watching the impressive shows displayed by the whales in the wild is an absolute treasure. This is the reason why whale watching adventure is gaining so much popularity amongst the locals and tourists alike. It is a known fact that amongst all species of whale, it is the humpback that has the widest vocal range which they sometimes use to “sing” to each other. While snorkeling or scuba diving in the crystal clear waters of Vallarta, you can pay an ear and hear humpback whales sing under the water. Fortunately, luxurious yacht charters in Puerto Vallarta has a great knowledge of how to find the whales, and provides plenty of opportunity to hear these magnificent creatures. Whales and other marine creatures roam freely around, making every whale watching escapade unique and different. No one can fully assure as to whether you will spot them or not or what acrobatics they will perform next. It is under the guidance of experts only that you will be part of this escapade and enjoy the activities they do. You will surely be blown away when you spot these majestic creatures from a nearby distance as they interact with one another. Not only you will encounter numerous Humpback Whales on every tour, you can also look for the resident population of Bottlenose Dolphins. Whilst on your next vacation to Puerto Vallarta, experience some of the most memorable moments on board your own private yacht charters in Puerto Vallarta by being part of the breath taking whale watching adventure.